The banking cartel is well aware of the threat from 'disruption', whereby small, nimble players take on inefficient, rent-seeking incumbents through the clever use of technology, and is playing a clever hand in resisting it. The finance sector is awash with talk of 'disruption', whereby small, nimble players take on inefficient, rent-seeking incumbents through the clever use of technology. Uber is taking on the taxi industry, a rent seeking incumbent like no other; Airbnb is trying to do to accommodation what Amazon has done to books; and of course Seek, carsales.com and realestate.com.au disrupted classifieds long before disruption was a 'thing'. There's huge scope for cataclysmic change in banking, which relies on decades-old technology, archaic work practices and incessant political lobbying for its record breaking profitability. The banking cartel is well aware of the threat, and playing a clever hand in resisting it. Three recent examples reveal how. 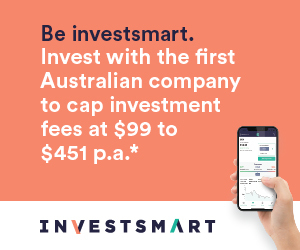 Earlier this year the ASX launched mFund, a service that lets investors buy and sell units in managed funds much as they do shares. The mFund technology platform should be a huge success because it makes it easier to avoid a Product Disclosure Statement - ASIC's way of sending people mad - eliminates middleman commissions and reduces paperwork. Independent fund managers and brokers appear to appreciate the opportunity to give clients easy, low cost access to their products. Platinum Asset Management, Macquarie, Pimco and Bell Direct are all listed as members. But the big banks are nowhere to be seen. Don't they want to avail their customers of these benefits, especially when most of the industry's products are bank-owned and sold? Why can't a Commonwealth Bank customer use mFund to quickly and cheaply buy a Commonwealth Bank product through Commsec? Because mFund threatens Commonwealth's revenue in two particular ways. First, it short-circuits the bank's platform, the trunk of the wealth management money tree. If a client's fund isn't on the platform the bank can't charge a platform fee. Second, by bypassing its financial planning arm, CBA planners miss out on the chance to recommend more profitable in-house products over independent ones. It's a small but revealing insight into how monopolists stifle competition. A more aggressive approach is being used with the remittance sector, this time under the guise of anti-terrorism laws. Australians send about $30bn a year overseas through remittance agencies, the small shops you see in the suburbs of our major cities. Typically used by immigrants to send money to their families overseas, these agencies charge about $10 per transaction. The big banks charge three times that amount. The trouble is the agencies need the big banks to clear the transactions but they're now blocking access, citing concerns that money sent via remitter agencies is being used to fund terrorism. Perhaps that's true – terrorists, as we know, never, ever use real banks. But it's hard to believe there isn't a commercial motive at play. If that $30bn were to go through the big banks it would deliver an extra few hundred million in transaction fees. It all helps y'know. You got that? The way to disrupt an industry is to offer your adversaries a seat at the table where you're plotting their demise. Yeah, that'll work. I'm sure Uber had many long and fruitful discussions with Cabcharge before setting out to destroy its business. This is great news for the banks. The hub will be their early warning system, alerting them to potential competitive threats as they emerge. Plus it will offer a chance to build relationships with the disruptors before waving a fat cheque in their face. Imagine what Fairfax could have done if it had commissioned KPMG to produce a report 15 years ago suggesting a 'media hub' where senior management could duchess the founders of Seek, carsales.com and realestate.com.au? So there you have it; three different strategies to protect and preserve what is in effect one giant skimming operation. No wonder small shareholders are reluctant to sell the banks.